2014 marked Herbalife’s inaugural sponsorship of the Events DC –The Nation’s Triathlon in Washington, D.C.- one of the premier Olympic distance triathlons in the United States. Operated by Competitor Group, Inc., the race is set against the magnificent and historic architecture of Washington, D.C. where participants swim 1.5k in the Potomac River, bike 40k past significant landmarks, and run 10k through downtown. 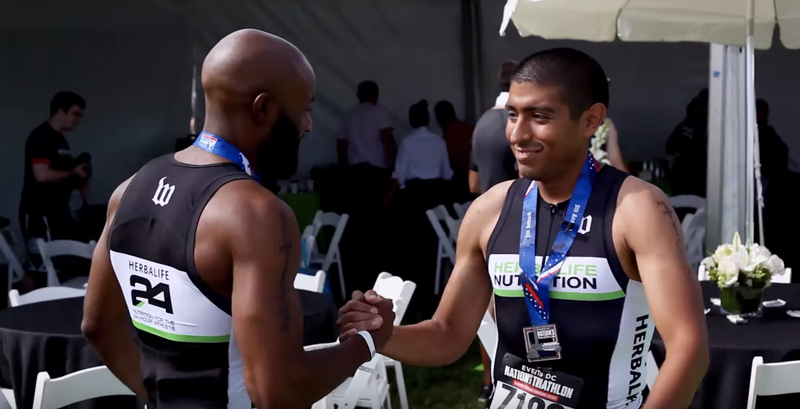 Herbalife partnered with Competitor Group, Inc. (CGI) to sponsor the Events DC – Nation’s Triathlon in an effort to show our commitment to help people around the world lead healthy, active lives. Herbalife was the title sponsor of the “Herbalife Congressional Challenge” and the “Herbalife Recovery Zone” which featured a selection of Herbalife24™ sports nutrition products including Herbalife24™ Rebuild Endurance recovery shake and Herbalife H3O® Fitness Drink – products designed to help athletes train, perform, and recover at the highest level. Herbalife also provided athletes with nutrition tips and best practices in training for this and future events.